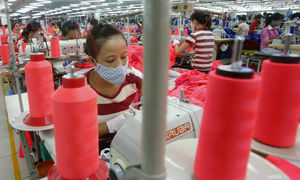 Cheating and overexploitation of workers are among the myriad of negative impacts FDI has had on Vietnam. Large corrugated metal roofs, small corrugated metal roofs and farmland. Satellite images of Tan Vinh Hiep Commune in the southern province of Binh Duong don’t show much more, but on the earth, these pictures are worth more than the proverbial thousand words – they tell a thousand stories, and counting. The commune stands just an hour's drive north of Ho Chi Minh City in Tan Uyen Town, and the satellite images are typical of Vietnam's economy in the 21st century. The large corrugated metal roofs are those that cover factories spanning thousands of square meters. Such factories have been the core economic component of both Tan Uyen and the whole Binh Duong Province for decades. And most of these factories belong to foreign direct investment (FDI) companies. Surrounding the factories are the small corrugated metal roofs, just over 2 meters wide, dozens of meters long, branching out from the roads and alleyways around the factories. These are the roofs of dormitories for migrant workers - the main workforce component in industrial parks across the country. A male worker doing the laundry in a neighborhood near an industrial zone in Ho Chi Minh City. The large and the small roofs are set against the background of patches of farmland - reminders of a not-too-distant rural, agricultural past. Huge swathes of farmland across rural Vietnam have been sacrificed to set up hundreds of industrial parks, attracting massive investments looking to exploit cheap labor made available by such sacrifices. Truong T.A, a 22-year-old man from a coastal district in the Mekong Delta's Soc Trang Province, is one such rural worker. In the recruitment announcement of the South Korean garment firm that T.A had applied for, which can still be found online, the promises are alluring: Dynamic, professional working environment; Promotion opportunities for dedicated, long-term committed employees; and most importantly, full entitlement to laborer's benefits and rights in accordance with the Labor Code." These were the promises with which T.A. started working for the ironing unit of E.V, a South Korean-invested garment firm in Vietnam, on April 24, 2017. He received a monthly salary of VND4.4 million ($190) and got to sign an official one-year employment contract on July 1, 2017. However, just six months later, he was dismissed for "repeated violations over many days of failing to meet ironing productivity during pay-rise period." T.A was not alone. On January 22 this year, the E.V company dismissed several workers of the ironing unit, citing the same reason. However, the workers did not accept these dismissals, arguing that they couldn't have committed "repeated violations" since they’d never received any disciplinary notice prior to being fired. In the lawsuit filed by the workers against the company at the Tan Uyen People's Court, all plaintiffs are migrant workers from the Mekong Delta provinces of Long An, Bac Lieu, Soc Trang and An Giang. All of them received monthly salaries of around VND4 million ($171) and lived in dormitories near the company before being fired for "repeated violation over many days of failing to meet ironing productivity." The workers demanded that they be paid their salaries for the remaining months of their contracts, which they argued was illegally terminated without justification. Lee Sang S., director of the company with the self-proclaimed "professional working environment" and his legal representatives did not attend any court hearing and the company did not reply to any of the court's summons. In the absence of the defendant - a multinational company just 20 minutes from the courthouse, the Tan Uyen People’s Court in May and June this year ruled that E.V. 's dismissals were illegal and ordered the company to compensate the workers. 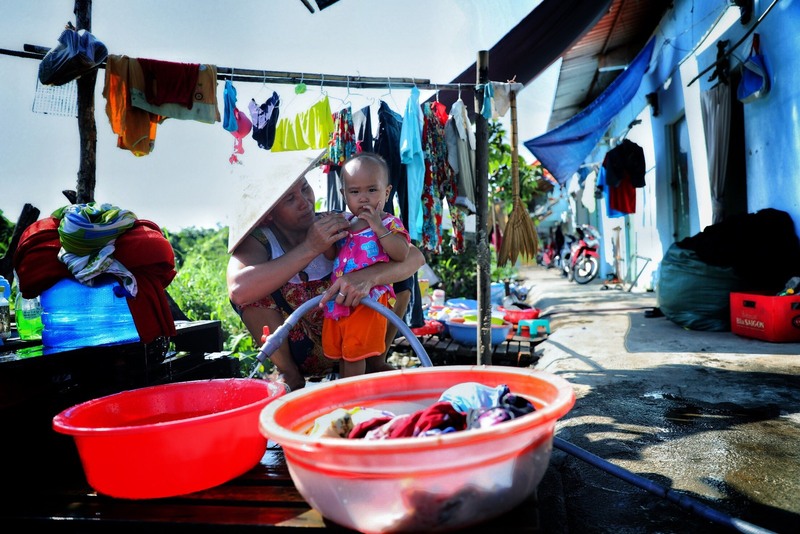 An adult holds a child in the SinCo Street, Binh Tan District, Ho Chi Minh City. Whether the workers will get their compensation or not remains to be seen. It depends on how the judgment is executed, and whether a lengthy battle with foreign employers ensues. The series of lawsuits against E.V are not the only ones on illegal dismissal of workers that the Tan Uyen court has received this year. Tan Uyen, with a population of just under 200,000, has repeatedly made headlines for workers being fired illegally, the spread of illegal gambling games, a food poisoning case in a local factory with 300 victims and several cases of company owners disappearing without paying workers. While the flow of FDI has brought to Vietnam in general and Binh Duong in particular undeniable achievements, they are accompanied by problems that have become inherent. The story of "old" workers at industrial parks being fired, a common occurrence among FDI companies, was a topic hotly debated in National Assembly meetings and in media accounts throughout July 2017. While the labor ministry suspected that the companies "intentionally dismissed old workers,” the Dong Nai Province People's Committee reported that "the businesses and workers agreed on the dismissals in the spirit of mutual agreement" and the Vietnam General Confederation of Labor said workers were "forced to quit their jobs due to productivity pressure and high labor standards." The workers, of course, have seen it differently, as oppression that ignores their legitimate right to reasonable pay and good working conditions. In another case handled by the Tan Uyen court earlier this year, the workers claimed that their South Korean employer had demanded that they sign resignation letters instead of firing them. They refused, and took the employer to court. However, most workers of companies in industrial zones do not have the “luxury” of taking their employers to court, steeped as they are in poverty and dependent on their salaries to feed their families. They quietly endure their employers’ unfair conditions and treatment. Footwear firms – who foots the bill? The last few decades of the 20th century saw state-owned companies and family businesses dominate Vietnam's textile and footwear sectors. However, as the 21st century dawned, the proportion of FDI companies in these sectors began skyrocketing. It was the first significant sign of the coming flow of FDI and of a new era as Vietnam opened up its economy to the world. The turn of the century was also when Hoa, then just a 17-year-old girl, packed up her belongings and left her home in central Nghe An Province to work for a Taiwanese factory in Saigon. Nearly two decades have passed, enough time for Hoa's company to grow into the world's largest footwear manufacturer, but she has never changed her job. Having witnessed the risks in the life of a worker, she believes that only staying with a big company would keep her safe. "As long as the factory and machinery are still here, the owner wouldn't dare to run away; and seeing that there are lots of workers, they wouldn't dare to play dirty," she explained. In just the Tan Tao Industrial Park, where Hoa works, the number of workers employed by her company has already crossed 90,000 people. Employees leaving work at Tan Tao Industrial Park in Ho Chi Minh City. However, almost everything has changed since Hoa first set foot there. The dormitory rent has more than doubled, and Tan Tao has turned from a marsh into a hub for Ho Chi Minh City's economic development, attracting nearly 300 businesses. Hoa’s dormitory room meanwhile is still a 10sq.m room with just one front door and a window. And this space no longer hosts a young, single woman. It is home to her whole family – her husband and their two children. Life has not gotten any easier for Hoa. Unable to afford the VND10 million ($430) fees needed for a place at a day boarding school in the area, Hoa had to send her firstborn son to live with his grandparents, where he could attend a school day. The younger one is looked after by a babysitter living nearby for VND2 million a month. 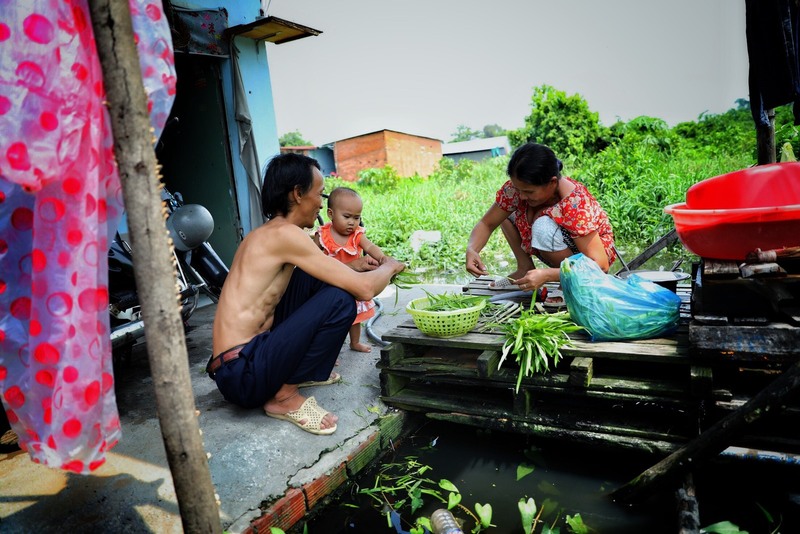 Hoa also had to fork out an extra VND100,000 ($4.3) in monthly rent to move to another dormitory room on higher ground as her old one was getting inundated by sewage water every monsoon season, posing a health risk for her children. After a while, a garbage dump appeared near the new room and every breeze would bring in stench that would pervade the area, but she no longer plans to move. Hoa now has greater concerns than her accommodation: the manager has frequently been scolding her for low productivity. She is no longer capable of walking much around the factory or standing for hours next to the production line like she used to do when she was still in 20s. As arthritis torments her legs, every afternoon Hoa comes home wishing she was still single so she could leave and never return. She wishes she had another skill, so her entire family could move back to her hometown and be reunited. But after 15 years in a footwear factory, the only skills she has are affixing shoe soles and standing for 8 hours straight. While the company does provide free training classes for workers in the evening, Hoa is too tired and busy caring for her sickly child to attend them. Furthermore, the classes only teach hairdressing and makeup, both of which are skills that she has no talent for and give her no promising prospects back in her hometown. Hoa's story and that of her company is a prime example of what happens with FDI inflows, in this case, into the textile and footwear sectors from China to Vietnam. Up until the beginning of the century, this company was still the symbol of the city of Dongguan in Guangdong Province - a major manufacturing hub of China. In 2003, Chinese female workers like Hoa became the main characters of "Factory Girls", an international bestselling book by Leslie T. Chang on migrant worker populations. As strikes and demonstrations by tens of thousands of workers demanding pay rises soon became a common sight in Dongguan, China ceased to be a cheap labor haven. From 2011 to 2017, the average salary of Chinese workers increased by 64 percent, according to Euromonitor. In a process that has become way too familiar, the manufacturing sector's capital started flowing to Vietnam. "The new world's factory" was how international media called Vietnam, to distinguish it from the "old factory" of Guangzhou, Guangdong's capital city. The "old factory" on the other hand is now the cradle of the "Made in China 2025" plan. China has successfully absorbed many advanced technologies in recent years, and is now slowly turning away from low-skilled manufacturing in favor of more high-tech fields. And the scenarios in Dongguan described by Leslie Chang 15 years ago are now being recreated in Tan Tao and Binh Duong: a generation of workers that earn just enough money to survive, and are left with no accumulation once they become "old" by their employers' standards. 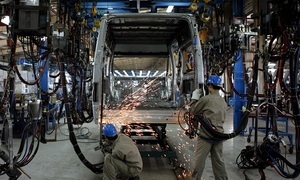 The flow of foreign capital into Vietnam mostly goes to processing and assembly sectors with low value added that only require low-skilled labor. 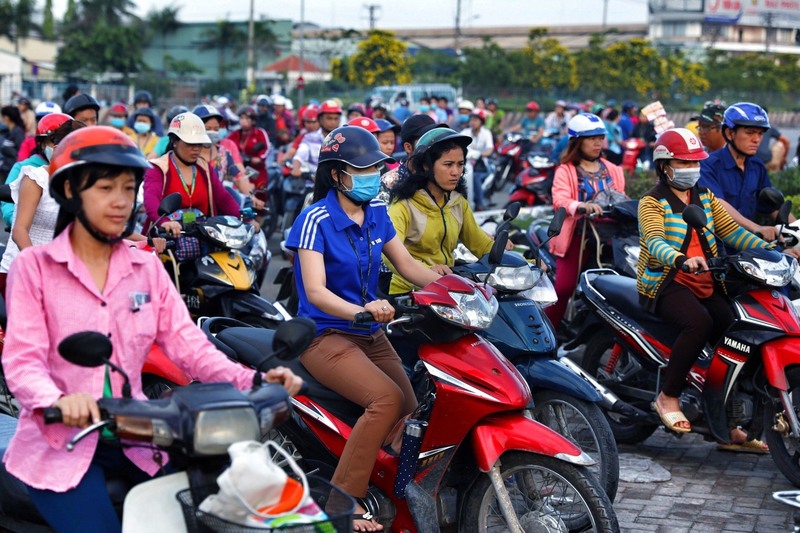 This has caused many problems for many Vietnamese workers, as the low skill requirement means companies do not have to provide more benefits for workers. "Workers have to live in small, low-quality dormitories with rents that do not follow any standard," said Associate Professor Nguyen Duc Loc, head of a research project on the welfare of young workers. "Many workers have to relocate frequently to find accommodation with suitable rents. This not only affects their settling down but also poses a major immigration management issue for the authorities," he said. Demanding that businesses help workers settle down is something Hoa has never dared to dream of. She only worries about how long she will be able to keep doing this VND6 million ($257)-a-month job. The issue of workers losing their jobs at industrial parks when they become “old” has generated social pressures. They find it difficult to find new jobs as they have no financial or skills accumulation, and they can't return to their hometowns as there are fewer and fewer jobs in the countryside. Last June, exactly 30 years after Vietnam began receiving foreign investments and the problems they bring, Minister of Labor, Invalids and Social Affairs Dao Ngoc Dung said the government has "agreed to develop a project to organize training and retraining for workers." It was a cold, pitch-black night in late January 2018, just less than a month before Tet, Vietnam's Lunar New Year and the country’s biggest holiday. Under a tarp shelter temporarily set up on a sidewalk in Ho Chi Minh City's Tay Bac Cu Chi Industrial Park, Hanh added another dry twig to the fire as her infant son slept soundly in a nearby hammock. The South Korean director of Hanh's company had been missing for over a week, having taken off with the workers' wages for December. Hanh and her coworkers had camped outside the company's gate just in case he returned. On sunny days, they camped under the shade of trees, and during the nights, they slept in hammocks and took turn keeping twig fires burning for warmth. Renting price is from VND800,000-2 million ($34.2-85.5) per month per house near Tan Tao. Occasionally, the sound of someone cursing or sobbing could be heard. Their plans to buy new clothes for their children or a pair of tickets to come home for Lunar New Year had all disappeared with the director. "All 6 of us siblings and siblings-in-law work for this company so now we're all done for. We don't know anyone we can borrow money from to buy tickets to go home for this Tet," Hanh said. The South Korean director had not only taken away the Tet holiday of his 600 workers but also nearly VND30 billion ($1.28 million) in social insurance that he had been subtracting from their monthly pay. Hanh's baby was already nearly a year old but she had yet to receive her maternity insurance, and many of her coworkers' maternity insurance payments still remain on paper, despite their children being 2-3 years old. Unable to afford bus tickets to go home for Tet, Hanh and her siblings ended up celebrating the holiday with what little money they had in Saigon, hoping for better luck in the new year. Everyone knew they were being put at a disadvantage and that the company was violating the law, but few dared to quit, as no one could be sure that the same scenario would not be repeated at a new workplace. Hanh did not dare to risk any move as she thought her company at least did not fire old workers or make regular personnel changes. Despite being only 25, Hanh already had enough experience as a worker to know that her rights could be taken away at any minute, having started working at a factory without any contract since she was 13. This scenario is repeated all over the “developing” world, at most “factories of the world” like India and Vietnam. According to incomplete statistics compiled by the Ministry of Planning and Investment (MPI), there are currently hundreds of runaway FDI company owners, many of whom still owe their workers 3-4 months' worth of wages and many years worth of social insurance. Vietnamese officialdom and legal establishment seem helpless in pursuing such criminals and bringing them to justice. 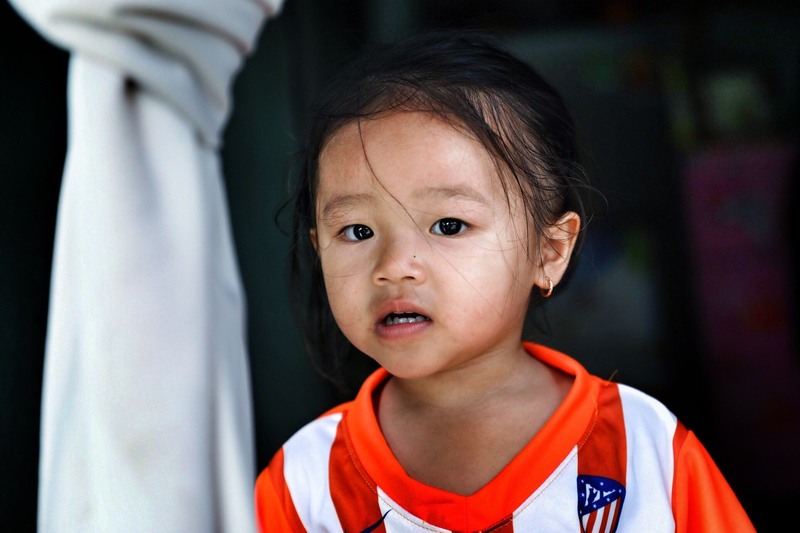 A child waits for her parents to come home from work in Binh Tan District, Ho Chi Minh City. Answering the press recently, a representative of the Ministry of Labor, Invalids and Social Affairs said Vietnam's current law provisions related to labor have been fully completed, including those regarding timely payment to workers and social insurance obligations of employers. The representative said that workers whose employers owe them wages or fail to pay their social insurance should report these violations to the local workers' union. However, "nothing changes" and "no reply" are the only responses workers at the Tay Bac Cu Chi Industrial Park received when they reported their employers' violations. In the end, they had no other option than fight for their rights, but even in this, they are disadvantaged with authorities liable to accuse them of "causing public disorder". Two sides of a coin? "Every coin has two sides: good and bad," said Phan Huu Thang, former head of the MPI's Foreign Investment Agency. Thang was part of the first generation of officials that created a legal framework for bringing foreign investment into Vietnam, and after 30 years he generously gives an 80:20 gain-loss ratio to the FDI sector. They have brought 80 percent gain and caused 20 percent losses to the country, he estimates. 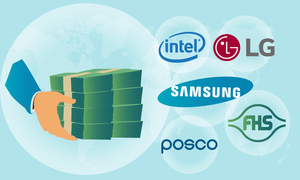 "Low labor value" is one of the frequently mentioned downsides to FDI in Vietnam. 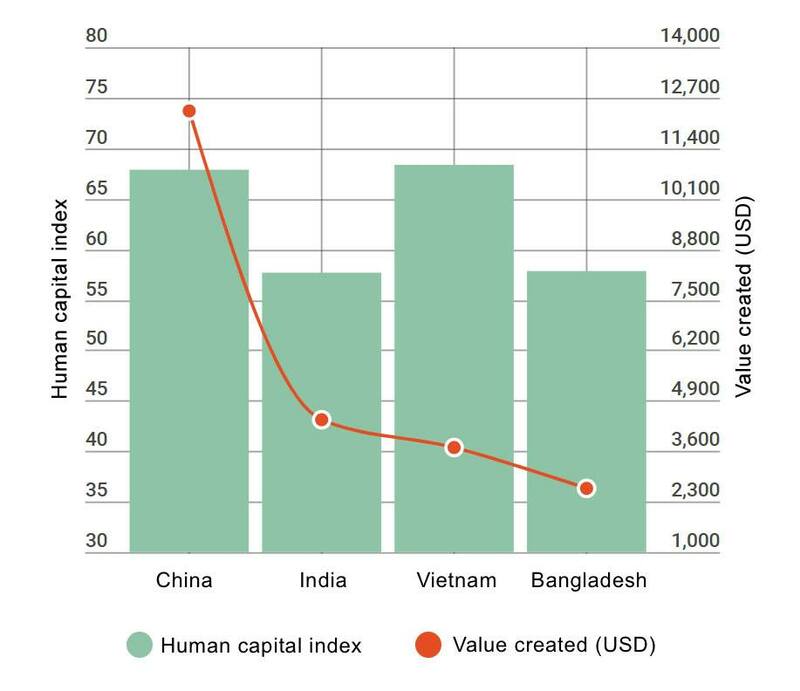 While the country's human capital index is the best among the "world's factories," according to the World Economic Forum, in terms of labor effectiveness, Vietnam’s performance is only slightly better than Bangladesh. 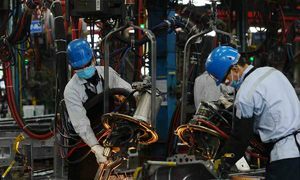 The reason for this, experts have argued, is that over many decades of trying to attract foreign investment, Vietnam has settled on a system of investing human capital in low-value manufacturing. This has meant that people like Hoa, Hanh and many other youth living in the countryside would graduate from Vietnam's general education system only to find that their only job opportunities are in factories where their education is not needed. The per capita production value of a Vietnamese worker in 2016 was $3,683, or less than a third of the $12,362 created by a Chinese worker. However, this is not because a Chinese worker makes three times as many shoes as a Vietnamese peer, but because the shoes made by Chinese workers have more added value because of better design licensing, sales and marketing systems. Or simply because many Chinese workers are no longer making shoes, but instead have switched to assembling Chinese smartphones. Importantly, the responsibility for this "low labor value" certainly does not lie with workers like Hoa or Hanh, but a flawed “free market” system and shortsighted policymakers, critics have pointed out. After “celebrating” Tet in Saigon, Hanh chose to remain in Cu Chi. She found a new job at another textile factory in the same industrial park, which was probably the only career option available to her. In a national project that receives foreign funding, if a Vietnamese worker's youth can be considered counterpart funds, it is still being spent the same way it was 20 years ago. This human capital is being depleted rapidly, and there is not much in the way of replenishment. Has Vietnam sown the FDI wind to reap the whirlwind?